Silent but oh so deadly. Lucky for P-Power that’s not a concern. I lure the poor artist out back, choke him out, steal his clothes, and toss him in a dumpster. Dressed as P-Power I head to the mansion, wait patiently for the cartel’s men to frisk me—I don’t need weapons. I take a selfie with Delgado’s wife, follow her into his office, and pick up the tattoo gun. “Hold still, Rico. I’d hate to stab you in the neck,” I say. I laugh, even though Delgado doesn’t know I’ve made a joke. And then I stab him in the neck, of course. First, let’s take a moment to appreciate that Hitman 2 ($60 on Humble) exists. Only a year ago Square Enix offloaded developer IO Interactive, and many a series would’ve ended there. Luckily IO got to keep its beloved costume-wearing assassin and all the work it’d done on a sequel, Warner Bros. stepped in as patron, and the upshot is a sequel to one of 2016’s best games. “Sequel” is a bit of a stretch, though. As I said at E3, this presumably would’ve been called “Hitman: Season Two” if Square Enix had published it, continuing the episodic release model of the previous game. 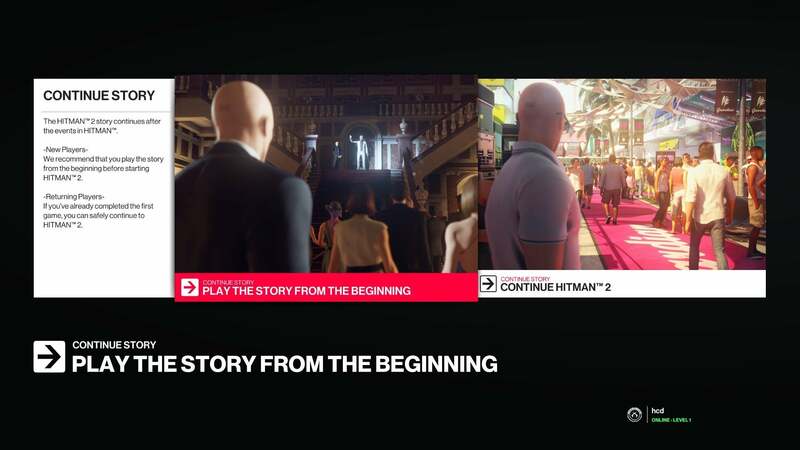 It follows on directly from the first season’s cliffhanger ending, and those who owned Hitman can even access the first game’s missions inside the Hitman 2 client. I did that, actually. As part of this review I played all the way through Hitman’s missions again inside the Hitman 2 engine. Paris, Sapienza, Marrakesh, Bangkok, Colorado, Hokkaido—I’ve played through Hitman’s levels a number of times before, but it felt great to dip back into them. And Hitman 2’s engine upgrades translate into the old missions, which is a neat addition. Most noteworthy is that Agent 47 can now hide in foliage, which makes the Colorado map feel especially different. There are a lot of areas on the farm that were merely set dressing before, but now feel much more tactical. The other changes are more minor. Agent 47 can use crowds as makeshift cover, a la Assassin’s Creed. Mirrors work like, well, mirrors—which is huge on a technical level, but doesn’t actually factor into most levels in my experience. You can also see where a security camera’s pointed, and there are of course additional weapons and costumes, and the return of the sniper rifle-concealing briefcase. 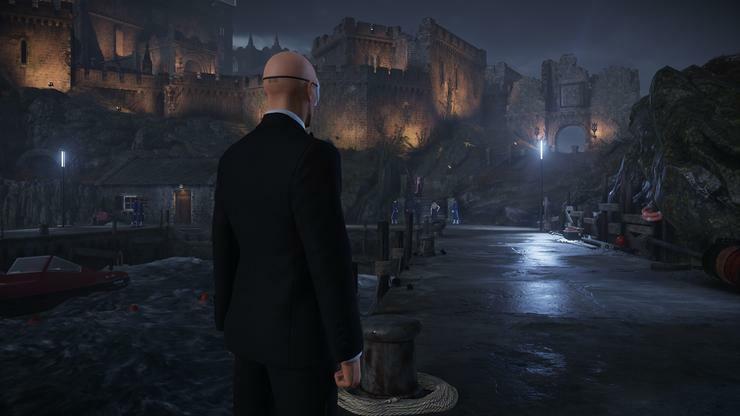 Playing Hitman’s campaign back-to-back with Hitman 2 mostly cemented my initial impression though: Despite a handful of new features, this is very much more of the same. I vocalized that after E3, but felt especially strong about it this week when the final scene of Hitman rolled right into the prologue of Hitman 2. This is an add-on, six more missions in what seems like a potential trilogy. It’s a very good add-on though. Hitman 2 features some of the most complicated, ambitious Hitman levels to-date. The prologue here, a beachfront house in Hawke’s Bay, is standard tutorial fare. But afterwards it’s straight into the Miami demo we did at E3 and PAX—which, it turns out, was only half a level. Your secondary target resides in a huge aquarium/defense lab/waterfront area I hadn’t explored yet. “This is incredibly impressive,” I thought, wandering through the crowds at the track, watching the race cars zoom past, following various threads to their deadly conclusions, then heading over to the aquarium with its own ecosystem of guards and weapons and creative “accidents” to uncover. Miami is just a hint of what’s to come though. Agent 47’s third mission takes him to Colombia, a sprawl of cartel buildings and drug plantations and jungle cliffs. And then you head to Mumbai, probably the densest and most labyrinthine Hitman level to-date, and your target a man whose identity you don’t even know. The following missions calm down a bit—one’s a pleasant Vermont suburb, the other a mysterious island. But even then, the density of interaction stays high. Every few feet is another little vignette, another weapon (improvised or otherwise), and another murderous puzzle for Agent 47. I still feel like some of the so-called solutions are a bit too obvious, or contrived. 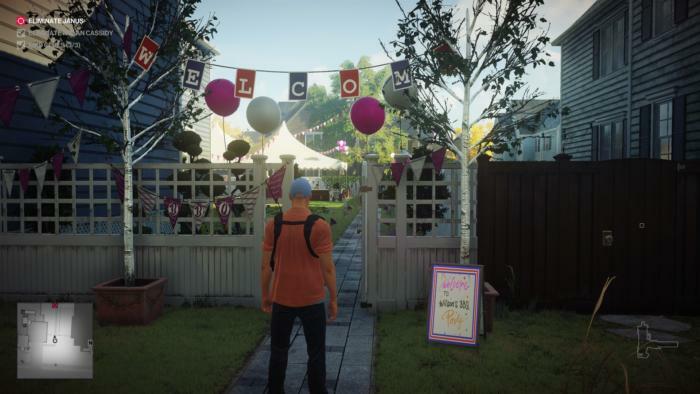 Hitman 2 desperately wants players to experience Hitman the way it’s “meant” to be experienced, i.e. the creative assassinations, like dressing up as a tattoo artist and stabbing the target, or having an android shoot at its own creator. Blood Money sprinkled these in for the observant or creative player, but Hitman post-2016 practically shoves them in your face even with the guides turned off. Scenes sometimes feel like elaborate stage plays, each cast member waiting for Agent 47 to step in and play his part. That said, the guides are just the start. 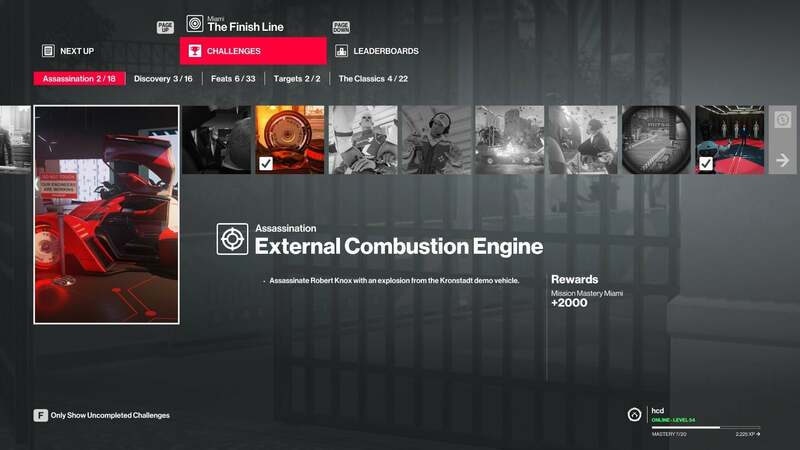 Dig into the “Challenges” menu after finishing a mission and you’ll probably be amazed how many contingency plans the developers have predicted. Stuff I didn’t even think was possible, IO’s codified as tests for the creative assassin. It makes me mourn the loss of the episodic release model, honestly. Hitman is at its best when you learn the map, memorize the AI patterns and exploit them to pull off the perfect mission—and only releasing a single map every month or two gave fans plenty of reason to engage with Hitman on this level. I fear Hitman 2 won’t inspire the same devotion. Released as a complete package, you can one-and-done every level and simply move on to the next. Sure, IO encourages you to take your time and discover every nook and cranny, but will you? 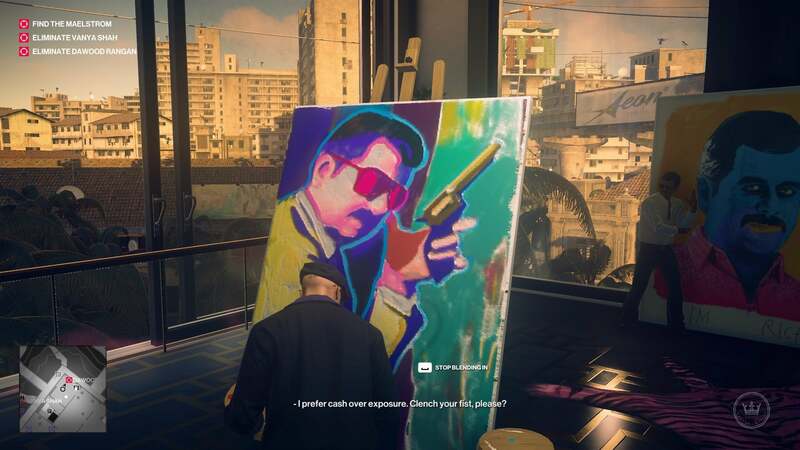 A single end-to-end campaign run takes maybe seven or eight hours (including save-scumming), and while the forthcoming dribble of Elusive Target missions and so forth will hold some people’s attention, I still feel like Hitman 2 might not get the same love and attention as the first did, if only because it won’t stay in people’s lives as long. That’s not really a knock on Hitman 2 ($60 on Humble) though. IO’s done everything it could to make this a deserving follow-up to 2016’s Hitman. Every target and every assassination feels ripe with possibilities, and even the story—not normally a part of Hitman I care about—goes some interesting places by the end. I’m curious to see how the game evolves in the coming months, but as far as I’m concerned it’s already a pretty fantastic addition to Agent 47’s oeuvre. 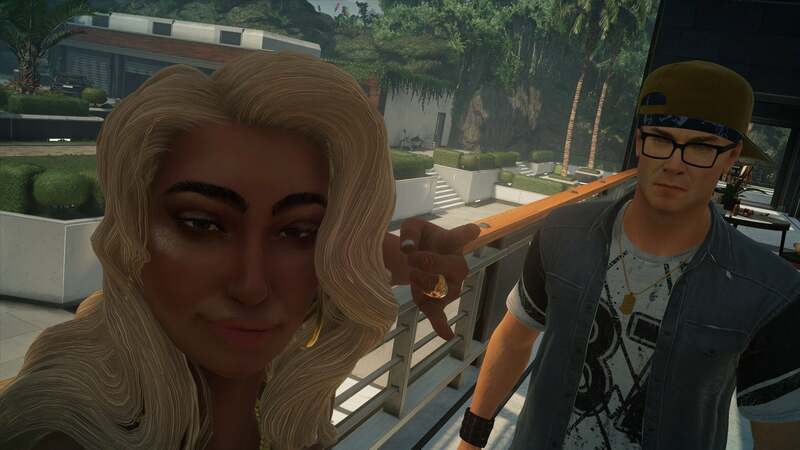 The time-limited Elusive Targets and other live-game features can only make it better from here. And hey, you can carry a fish with you as part of your load-out for every single mission. If that doesn’t sound like the ultimate assassination simulation, I don’t know what to tell you.